A savoury chutney with a sweet and spicy element to it. A spoon of this lip-smacking chutney is always a welcome addition to your meals. I’ve been known to finish a bottle of this date and lime chutney within a few days. It’s on my plate of rice, on bread rusks or a few spoons on my palm to mouth as I go about my work, trust me it’s that good. 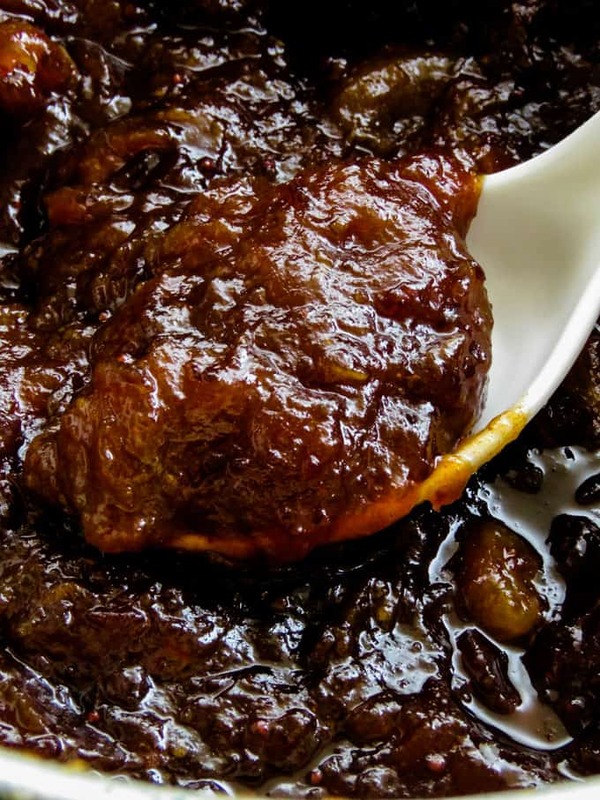 And I can guarantee that once you’ve made your own date-lime chutney, see how easy it is to make, you’ll be making it frequently not only for yourself but for friends as well. 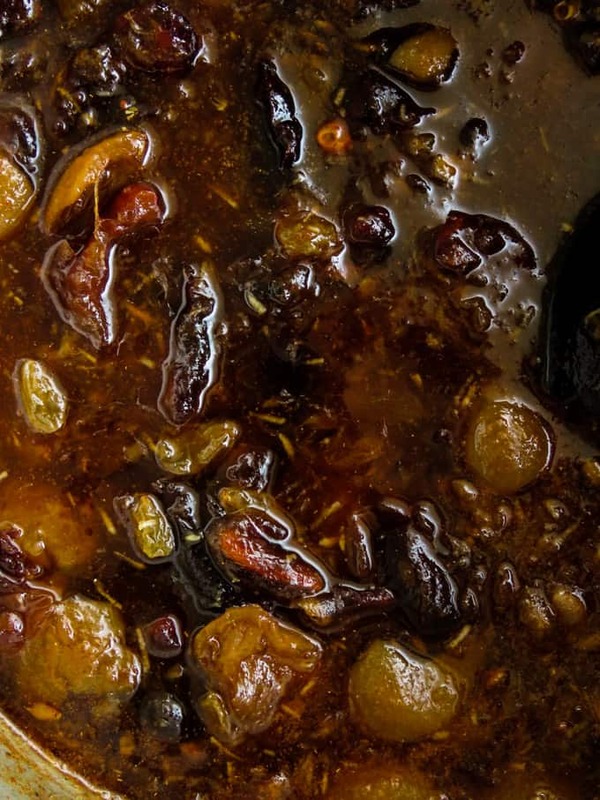 Dates, Sri Lankan preserved limes(lunu dehi) and raisins make up most of the flavours in this chutney. Once the chutney is done, you’ll notice the rich, dark, ruby red colour which is a combination of all the ingredients coming together to make one of the most delicious sweet and spicy(with a bit of sourness from the limes)chutney you’ll ever taste. The perfect homemade gift for any festive occasion. Now that you have the recipe for the chutney, make a few bottles ahead and gift it to your loved ones over the festive season(Sinhala-Tamil new year, eid, Christmas). Take bottles as a house warming gift or take a few for your loved ones living overseas. 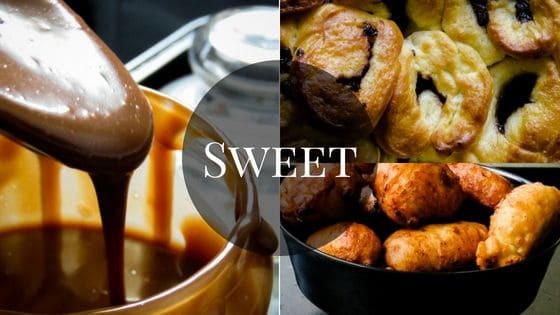 They’ll love and appreciate the thoughtful gift as it’s homemade with a lot of love. Thank you for stopping by, I hope you make this recipe for your family. If you enjoyed it, please let me know, if you feel the recipe needs a few tweaks, even then, drop me a message. A glass container/jar with a tight lid. Workflow to make Sri Lankan date and lime chutney. 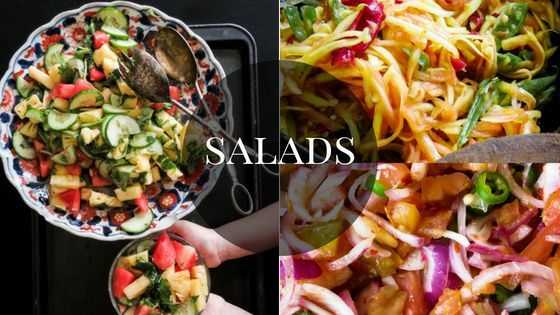 Combine all ingredients and slow-cook. What type of dates should I use for the chutney? There are various types of dates in the market, under different brands. For the chutney, make sure you choose dates that are soft and will break down easily as it cooks. Avoid using extremely dry dates as they might need to be soaked overnight. 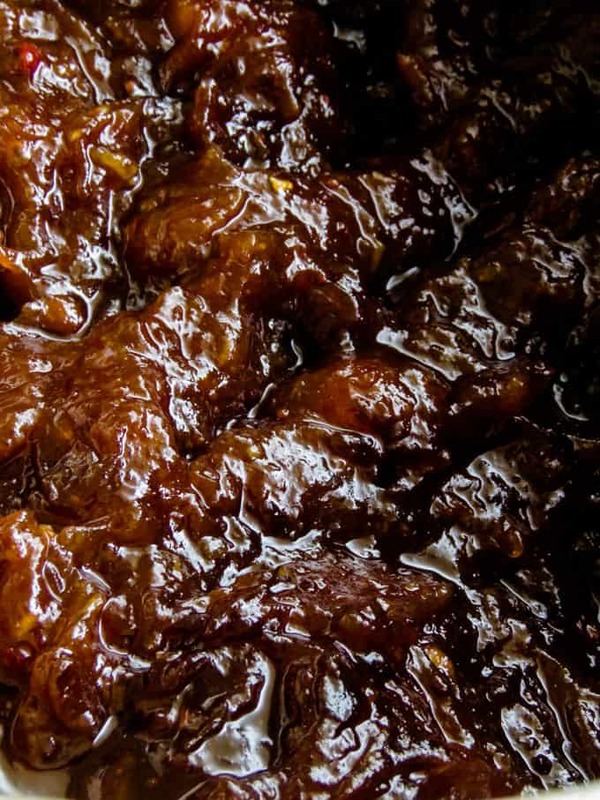 Is the lime pickle you use for the recipe same as a lemon preserve? The Sri Lankan lime pickle we use for this chutney is different from the preserved lemon. I would advise you not to replace the lime pickle(lunu dehi)with any type of lemon preserves. Although not the same, you can use Indian pickle as a substitute but there might be a slight change in taste. Since there are many variations to the Indian pickled lime, choose the one that is closer to the Sri Lankan pickled lime in taste. How to use the date and lime chutney. It’s a great addition to your cheese board. Add a dollop(not too much)to your hot dog or burger to give them an Asian twist. 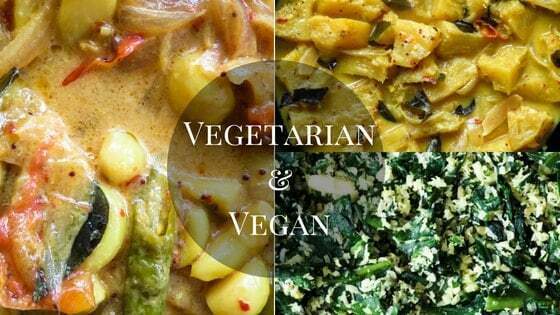 Serve with any type Biryani. 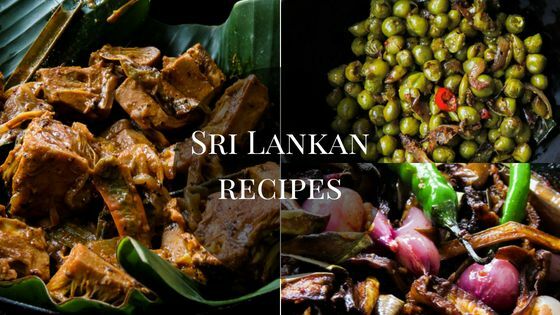 Serve with a Sri Lankan rice and curry menu. 2 tablespoons of chilli powder(add more if you want to spice it up). Pre-preparation for making the lime and date chutney. Soak mustard overnight in 1/4 cup of vinegar(out of the vinegar volume mentioned in the ingredient under vinegar). How to make the date and lime chutney. A few hours(2-3 hours) before making the chutney, soak the raisins in 1/2 a cup of water. Half an hour before making the chutney blend the mustard(include the vinegar in which the mustard seeds were soaking as well)with ginger and garlic. Cut the Sri Lankan Lime(lunu dehi)into small strips and set aside. make sure you remove any lime seeds as they will make the chutney bitter. Place a pan over low-medium heat, add the blended mustard-ginger-garlic liquid, remaining vinegar(1 and 1/2 cups), chilli powder and sugar to the pan. Slow-simmer the ingredients in the pan for 10 minutes. season with salt. Add the dates, lime, raisins(including the water the raisins were soaking in)into the pan and bring them to a boil within a few minutes. Once boiled, immediately reduce and slow simmer for 20-30 minutes or until the chutney continues to thicken. 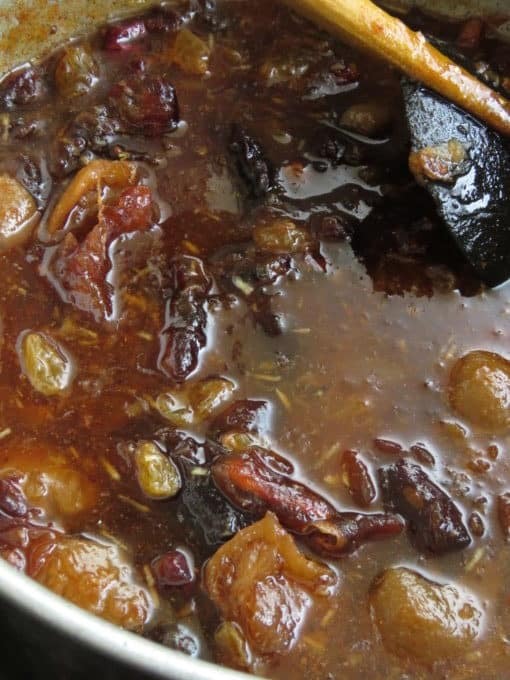 While the chutney cooks, using a wooden spoon, constantly break down the dates, lime and the raisins to smaller pieces until it reaches a smooth consistency of a chutney. Make sure to taste the chutney constantly and add more sugar or salt to balance the flavours. If you find using a spoon hard, use a hand-held blender to blitz the chutney for a smoother texture. Once the chutney is done, remove the pan from fire, let the chutney completely cool, then transfer chutney into dry bottles and refrigerate. SRI LANKAN DATE AND LIME CHUTNEY. 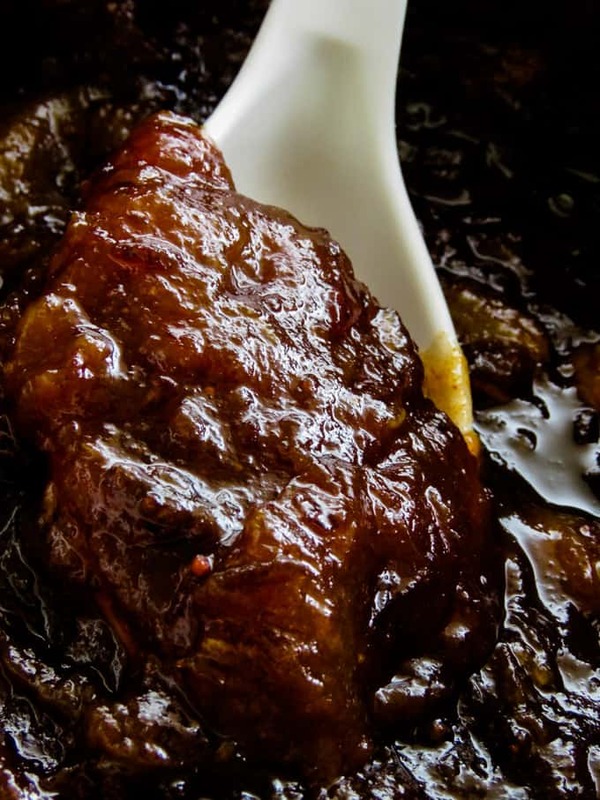 A SAVOURY CHUTNEY WITH A SWEET AND SPICY ELEMENT TO IT. 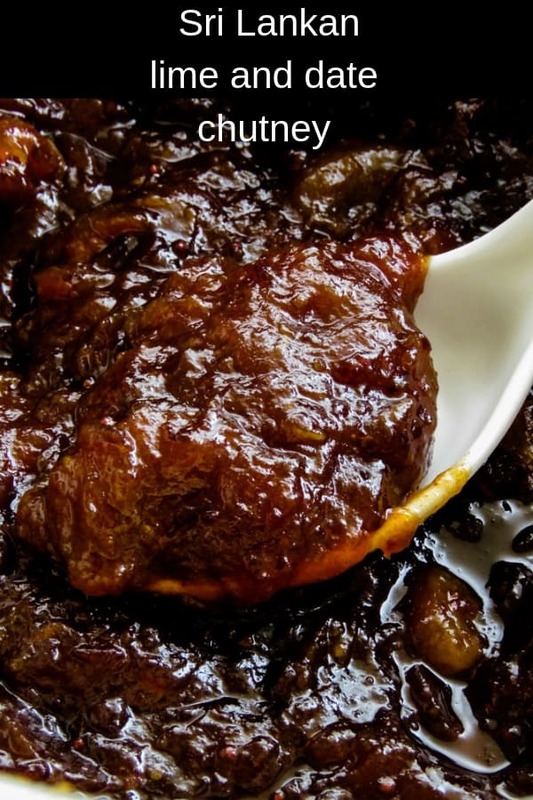 A SPOON OF THIS DELICIOUS, LIP-SMACKING CHUTNEY IS ALWAYS A WELCOME ADDITION AT LUNCHTIMES. 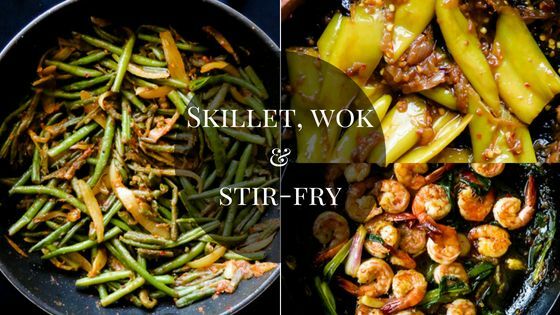 Place a pan over low-medium heat, add the blended mustard-ginger-garlic liquid, remaining vinegar(1 and 1/2 cups),chilli powder and sugar to the pan. Slow-simmer the ingredients in the pan for 10 minutes, season with salt. Mustard seeds or dry mustard powder?